It could be said that planning in advance would allow us significantly more time in these places under such circumstances but I’d venture to guess that if planning were involved, we wouldn’t do nearly so much. Instead we had a short amount of time (the day wasn’t getting any younger) and a decision to make. Peter threw out suggestions – Henley! 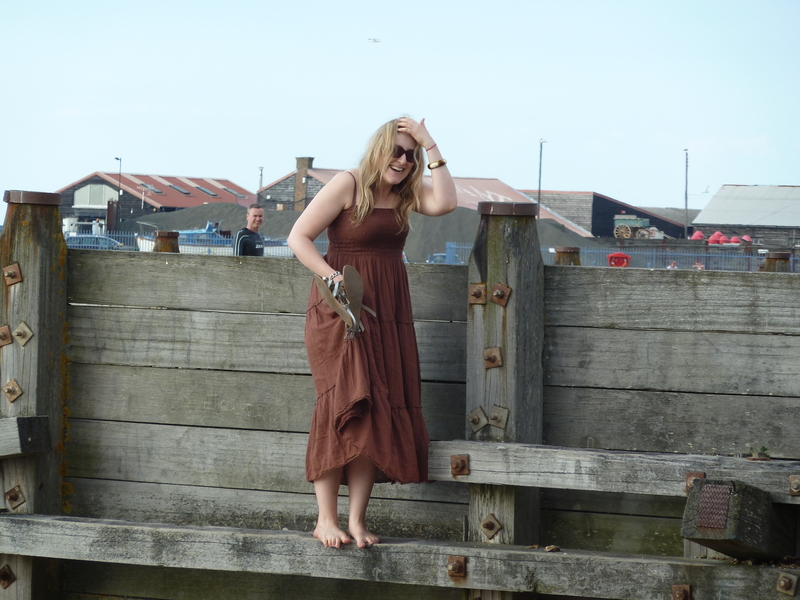 Eastbourne! 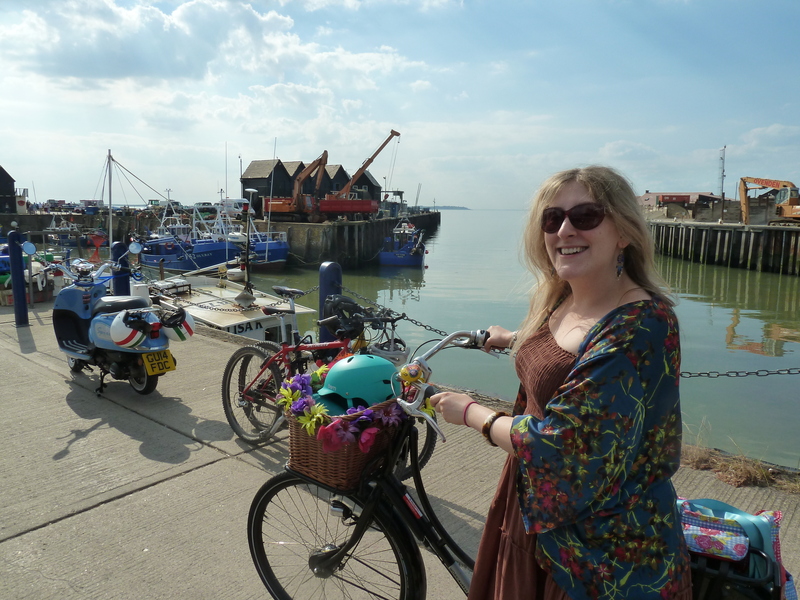 (apparently he is on the verge of retirement) – but Whitstable was chosen for its Goldilocks qualities of mid-range train tickets and the promise of oysters. 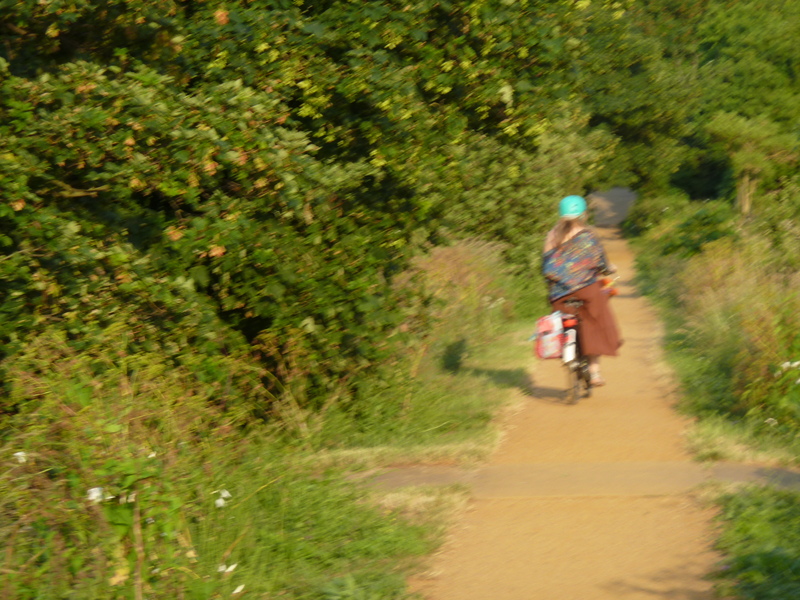 Having a bike promises freedom not just within London but outside as well. You can take them on most trains – National Rail positively encourages it (although your fellow passengers may be less than welcoming) – and at the other end there’s no need to worry about taxis or buses. Just hop on and go, making up directions en route. This time we simply followed our noses (and signs towards the harbour). Living in London it can often seem as if the city is the be-all and end-all but it doesn’t take too long a journey to remember that, indeed, there is life outside the M25. Whether you’re looking for art, culture, sea air, forest or fields, I’m always amazed by how quickly I can get there from inside the concrete jungle. 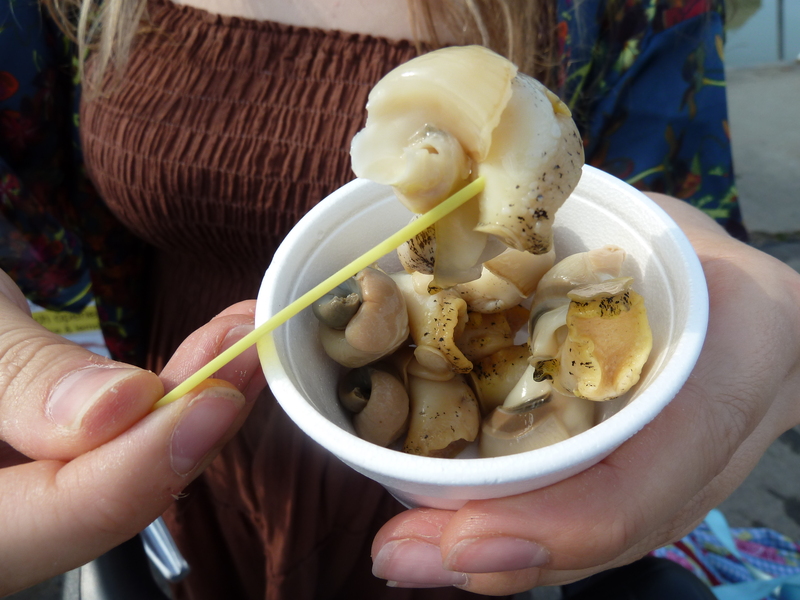 In the case of Whitstable, less than two hours after leaving Victoria we were nestled on the beach with two cups of freshly-brewed coffee and a polystyrene cup full of whelks. We didn’t really have a plan. It was the longest day of the year and as such, time was on our side, so after the obligatory paddle (and ensuing clamber along the groins so as to avoid a bare-footed return up the pebbly shore), we swung on by a beachside pub for a taste of the local brew. In terms of craft beer, it wasn’t the greatest, but when you’re sipping a pint on the sea-front, you can’t complain. Really, we were there for dinner. Freshy, fishy dinner. 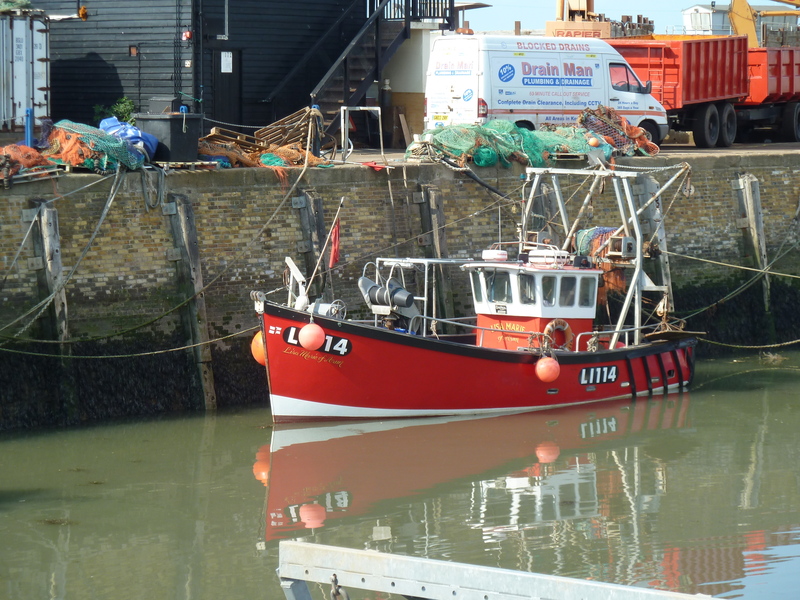 Yelp provided the answer: hidden away in Seasalter, a village just outside Whitstable, was a restaurant which came with glowing reviews. One trusted Yelper admitted that she had taken the four-hour round-trip for a second time due to memories of the bread alone. We were intrigued by the location: a lonely former pub atop a wind-swept stretch of coastal road, out of town and off the map. The kind of place we’d never have attempted to reach without our bikes. In fact it was far enough away that after pedalling for quite some time, we still hadn’t found it, and sheepishly asked at the local sailing club whether we were in fact headed in the right direction. The two men outside assured us that we were but warned of steep prices. The younger admitted that it was a great spot for a special occasion, but the older man was adamant that since the new owners had taken over, it had gone considerably downhill. “It’s not the Sportsman any more” he said sadly. “It’s a – a -” “Gastropub?” asked Peter helpfully. “Yeah – gastro” he replied uncertainly, and with great suspicion, “But definitely not the Sportsman”. With suggestions of two alternative dinner spots ringing in our ears (one providing enormous portions of “everything, even omelette” and another some sort of charitable initiative with alpacas, directions for which were limited to “When I’m in the bungalow looking at the trees, it’s towards that second pylon, do you see? Near there”), we carried on. The Sportsman used to be a pub and still looks like it, dilapidated and lonely, sheltered from the ocean winds by a slight crest of hill. A couple of benches, rotting in the coastal elements, sit wonkily outside. We dubiously chained our bikes to a tree and walked in to discover a relatively full restaurant and nobody to welcome us. At the bar, a very friendly man apologetically admitted that they had no tables – not that they were lacking in space, but that the kitchen had set a limit for covers and they’d already gone over. We were astonished. All the way out here, and they were full? “Sometimes you’ll get lucky, but we’re usually booked up pretty far in advance” he explained. I suspected he was going to offer us a place next Saturday and was all ready with my “Actually, we’re only up from London for the day” when he continued “Usually 10-12 weeks”. My response died on my lips and my eyebrows shot up into my hair. “I think the next availability is in September” he added helpfully. This time my eyebrows may well have just fallen straight off my head. Nope, not even the slightest glimmer of a clue that we were attempting to walk in on a Saturday night to one of just five Michelin-starred restaurants in the entire county of Kent. 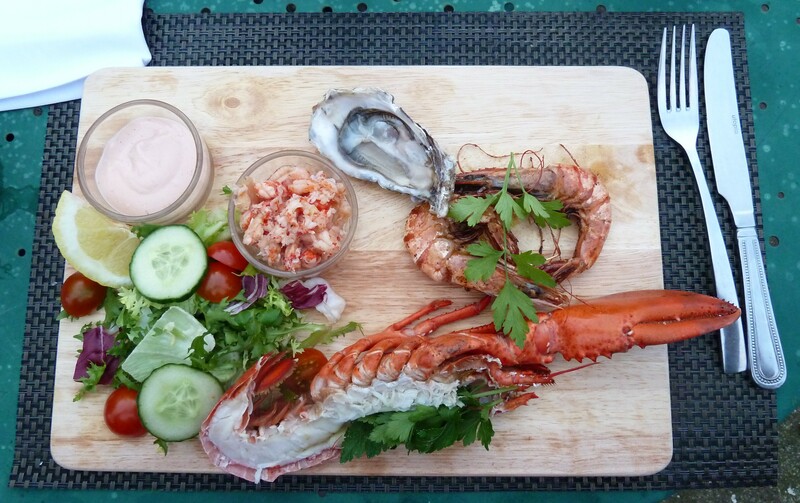 We went to the Oyster Pearl, figuring that if we were going to get a decent restaurant recommendation from someone in Whitstable, this was probably as good as any. Things didn’t start off too great when I asked what ciders they had and was told “Bulmers, Strongbow, Doom Bar . . . he’s drinking cider”, pointing to Peter’s glass – to which Peter had to gently point out that he was in fact drinking ale, and also Doom Bar was a bitter . . . I ordered a diet coke. In the event, the dinner was fantastically good: whitebait, a seafood platter and gorgeous puddings and most importantly an oyster each. Mine went down better than Peter’s. If you’re in the area and looking for a great place to have dinner then I wholeheartedly recommend the Oyster Pearl. They’ve already won the Newcomer of the Year award from a local paper. Despite the unprepossessing frontage, one of their charms is the beautiful food presentation. We managed to scarf down three courses, and accompanied by the aforementioned drinks, it came to around £35 a head. All in all a lovely afternoon out to the seaside and we even got seats on the last train home. Even we city types need to escape every now and then, and a whiff of sea air is just enough to keep me going until my next jaunt. Which actually was the following (now last) weekend in Somerset, although I’m not sure that five days at Glastonbury can ever really be considered restful . . .